Former student Nikolas Cruz walked on to Marjory Stoneman Douglas High School (MSDHS) with an AR-15 rifle. In six minutes he shot and killed 17 people. 14 of those people were students and three were adults. 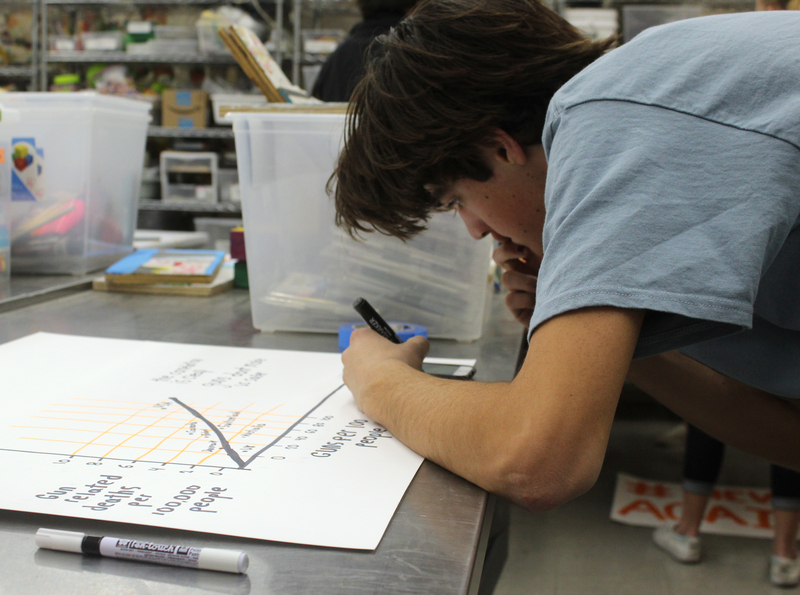 A group of students from across Southern California gathered at Art Trek in Newbury Park to plan walkouts at their schools in protest of the gun violence occurring in schools nationwide. 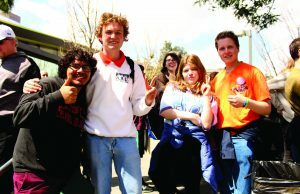 Their goal was to join other high schools in the nation for 17 minutes of silence on March 14 to honor each of the victims of the Parkland shooting. All students were welcomed to make posters at Art Trek for the walkout. 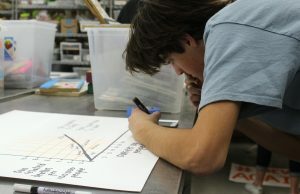 The posters were mostly orange, black and red and expressed student beliefs on gun-control. “It was just so empowering to see all these people from different schools who don’t even know each other come together, and it really made me want to do more and made me want to participate,” Scott Nagatoshi, junior, planner and speaker of the event, said. One month after the MSDHS shooting, NPHS participated in a nationwide student walkout to show solidarity with MSDHS and to stand against gun violence. “I think for the majority of people the goal was to recognize and support the victims of the tragedy and to show the school that we’re there to support them.” Steve Lepire, principal, said. Seventeen NPHS students individually honored the 17 students of MSDHS that lost their lives during the tragedy. 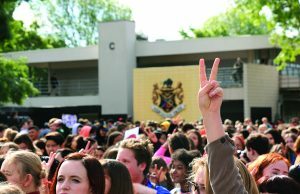 “It was so incredible because I wasn’t expecting that many people, and I saw people crying, and I saw very few people goofing off and most of them sombered up by the end of it,” Dvoretzky, senior and the student who originally started the event, said. March for Our Lives, A nationwide movement for gun-control, expressed the desire for students to feel safe at school. “We’re going to go to our nation’s Capital, town squares, city centers, rural roads, and village parks to demand our lives be defended. We’re going to ask every ‘leader’ what they’re doing to protect us.” the official March for our Lives website states. Many NPHS students travelled to marches in Ventura and Los Angeles with signs to participate in this historic event. A nationwide school walkout calling for gun-control took place on the 19th anniversary of the Columbine shooting. “(The March 14 event) was just the beginning of something that can hopefully birth a student activism group and make sure that our school is being more involved in our community,” Nagatoshi said. Students walked off campus at 10 a.m. and gathered for speeches in Pepper Tree Park. However, Steve Lepire, principal, would not approve the walkout and is punishing participants with a Saturday school and a truancy. 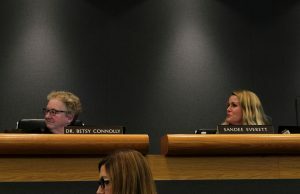 The Conejo Valley Unified School district school board has suggested potential amendments to district bills. 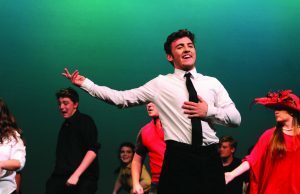 At the meeting on April 3, the District Advisory Council spoke about the topic of social, emotional and physical being of the students, an idea that was carried on throughout the meeting. 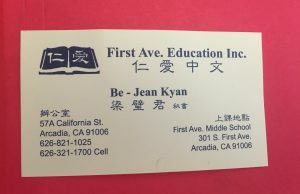 Three CVUSD School Board positions are up for reelection this fall, and according to the Thousand Oaks Acorn, even though the official filing period to campaign does not start until July, eight people have already announced their intent to run. 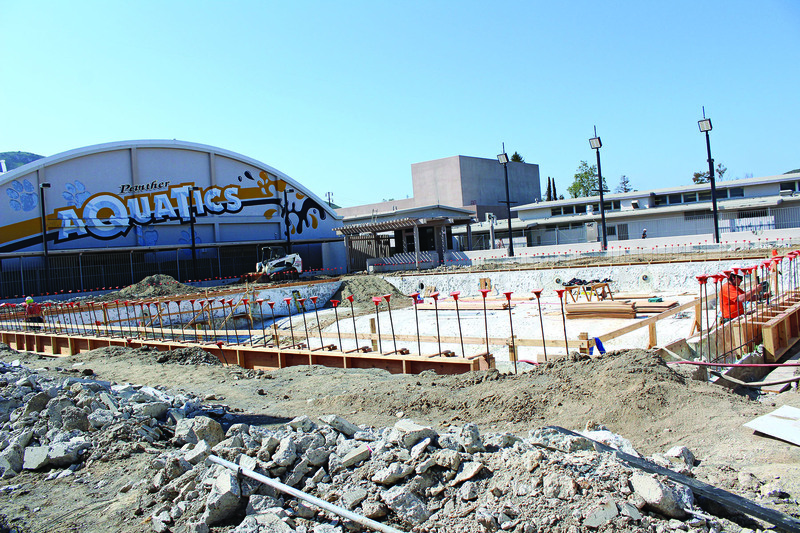 After a mandate by the Health Department, construction began on the pool and deck with demolition, bringing about noise and air quality complaints. However, the demolition was finished over spring break, alleviating these problems, according to Steve Lepire, principal. 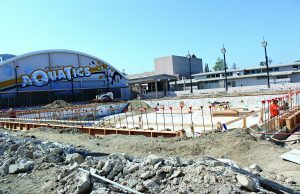 “We think that concern will be over and moving forward after the break, a lot of it is pouring the concrete, so there will be a lot less noise attached to that,” Lepire said. The renovations will also result in the removal of the diving board, installation of new timing pads and improvement to the electrical and fencing around the area. 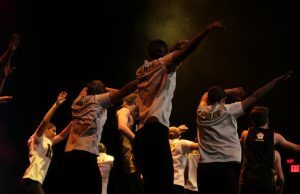 Over the weekend of April 6 and 7, the students split up showcasing each of the nine shows over two days. Friday night included Showcase 1: “Family Dinner,” Slumber Party,” “Hamletception” and “The Baristas.” Showcase 2 included “Mermaid Beach Bash,” “The Real Wise Men of Manhattan,” “Behind Enemy Lines: Revenge of Big Thunder Ranch, “#Collegebound” and “Kooky Kruiseliners Inc.” All plays were showcased together on Saturday night. Girl Up hosted their “Hats & High Tea” gala on March 11, surpassing their goal by making over $3,000, and sparking conversations about the treatment of women. The dance team attended WCE Nationals from March 23-24. The team were runner up grand champions and placed 1st for elite, 2nd for jazz, 3rd for contemporary, 2nd for large dance, 2nd for hip hop, 2nd for highest scoring dance, 3rd for intermediate dance, and had overall best choreography. 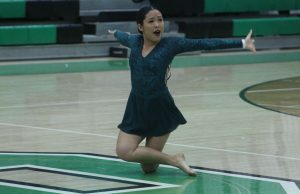 Out of the top gold soloists, Charlotte Foldes, freshman, placed first and Olivia Johnson, senior, placed third. Johnson also was 1st in the Improv Solo.